Angelina's cottage is the utlimate weekend escape, nestled deep in the Capertee Valley with escarpement views from all aspects of the home. 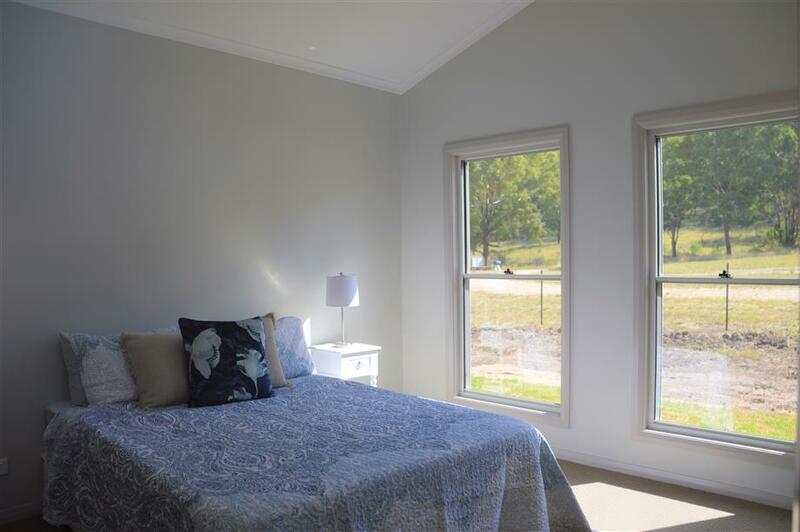 The cottage is located 135km North-West of Sydney on the edge of the Wollemi National Park. Historic Rylstone is a short 30-40 minute drive when a cappuccino is calling. Rylstone has many highly recommended eateries and wineries to discover. Recently featued in the Australian Travellor Magazine in the Top 10 secret places to visit. A famous location favouride by artists for the spectacular scenery the Wollemi National Park borders on the edge of this 700 acre property. All yours to explore during your stay. Enjoy the modern comforts of a brand new home with the serenity of country life at your door. Brimming with wildlife including the endangered Regent Honeyeater. Angelina's Cottage is the perfect weekend away to enjoy bushwalking, bird watching or simply enjoying the views with a wine in hand. A full refund can be provided if cancelled at least 30 days prior, 50% refund if cancelled 14 days before arrival.